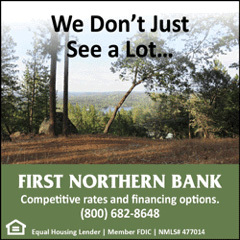 First Northern Bank is a Sacramento region bank known for specializing in relationship banking and high customer satisfaction . We launched a new series of display ads for consumer loan products that are doing extremely well in driving new consumer loan applications. The ads carry a local flair and show off the bank’s commitment to serving the community with personal service and loan products that are just right for them. Are your financial institution’s or business’s display ads not meeting expectations? Call us today for a free consultation.